We are visiting friends in Rock Hill, South Carolina. I guess you might call it the deep South where cotton still grows and folks are more tuned into our national heritage than we are in the North. Today we had an interesting visit to Kings Mountain National Park of Kings Mountain, South Carolina. By chance for us our visit occurred on the 230th anniversary of the battle of Kings Mountain during the Revolutionary War. Enactors of the battle in period clothing were present and there was a special ceremony honoring the patriots and Tories that died in this battle. We walked around the battleground to view the terrain and the positions of the opposing forces. In this part of the country the Tories and patriots often could be neighbors who had taken different sides in the conflict. And as stated by the historical markers, the fighters even changed sides during the battle. The Tories had only a few Redcoat members so this conflict was much different than the battle of Lexington and Concord. 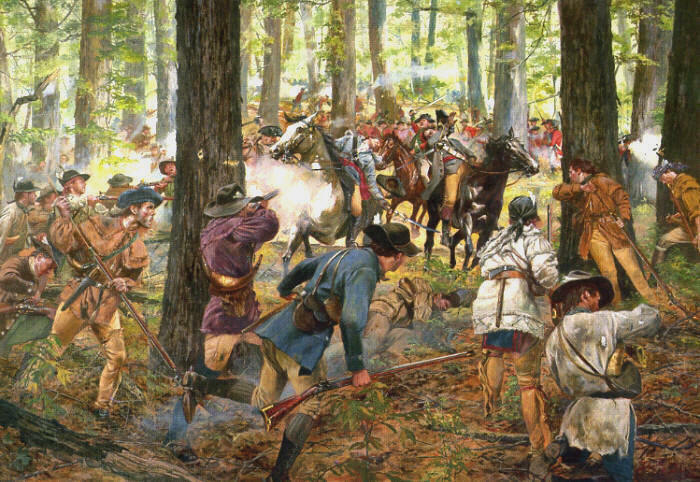 In spite of the disadvantage of terrain and battle position the patriots prevailed. And even brutally slayed many of the Tory survivors of the battle in retaliation for the brutal loss of patriot lives in a previous battle. Brutality begetting brutality. No different today in our current wars. All of this has caused me to reflect on the tipping points on the development of the United States. It seems our great nation have survived manifold crises in its history. 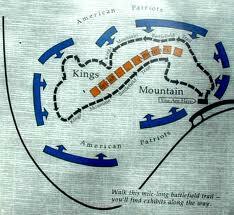 The Kings Mountain battle was considered one of the turning points in the Revolutionary War and was helpful in bringing an end to the Revolutionary War in 1783. England could have sent more troops and pursued the war more forcefully but chose not to and thus the patriots prevailed. I guess I had not appreciated how differently the Revolutionary War played out in the South. Again I am surprised how much our cultural conditioning influences our view of history and the world.